Pros: Outrageous, boundary pushing stuff! Lots of fun to watch, terrific acting, splendid setting and the unique opportunity to see the Royal Family fighting each other in front of your very eyes. Cons: The Shakespearean verses may sometimes feel forced and the costumes didn’t get changed that much, but perhaps this was just a stylistic choice. Fancy that: a ‘future history play’ about how the next monarch, His Royal Majesty King Charles, would handle politics in his country and manage to take it to the brink of civil war within a couple of months of his mother’s death. Now, add a full complement of Royal Family look-a-likes – Camilla, Prince William and Kate, Prince Harry… the whole lot – a Blairesque Labour Prime Minister, a hard-nosed Opposition Leader, and the passing ghost of Princess Diana. Shake well and try narrating in Shakespearean iambic verses. 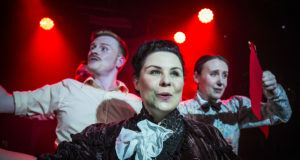 The result is this outrageously entertaining, daringly provocative, hugely enjoyable play that no doubt would have had Mike Bartlett’s head rolling had it been staged a couple of centuries ago. To everyone’s fortune, the Monarchy has moved on since. 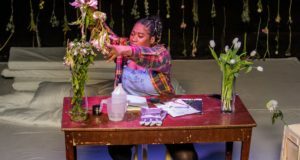 Bartlett’s visionary play manages to outrage and provoke whilst remaining bewilderingly plausible. 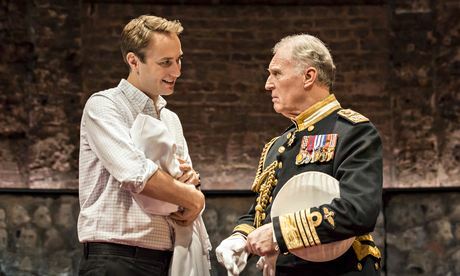 Satire is his weapon, used subtly to shave the edge off the emotionally-laden drama of King Charles III –‘the greatest King we never had’ – majestically interpreted by Tim Pigott-Smith. His grandiose aspirations and royal weaknesses leak through the whole play, but the character never loses his dignity. The other characters were all brilliantly developed, with superb acting throughout and a hilarious resemblance to the real-life royals. Margot Leicester’s Camilla was movingly loyal to her Charles but no-one seemed to care –just like in real life… oh, pardon me! And how not to have Prince Harry become the instant favourite? Played by Richard Goulding, his naughty-but-confused boy attitude proved hilarious, especially paired with Republican leftie art student Jess (Tafline Steen). They were simply adorable. Oliver Chris’ restrained Prince William was a staunch contrast to Harry, but I really liked his hand-in-pocket posturing: it made him perfect alongside perennially smiling, naturally elegant yet surprisingly mischievous Kate (Lydia Wilson). Forensic Psychiatrist. Having left sunny Sicily for London in 2000 to pursue his career, and having done way too much studying since, Don has long realised that life is all about pretending to be someone you really aren’t. In his various reincarnations he is a traveller, a photographer, a cook and an expert in violent offending behaviour. Now he thinks that just because he did a few years acting Sicilian Comedies with friends and passionately likes going to plays in London, he can also be a theatre reviewer. Yeah, right!